Actually, the trailer itself is pretty funny and the basic premise is fantastic. Ferrell plays a wealthy businessman and white-collar criminal who is sentenced to 10 years in maximum security prison for his crimes. Kevin Hart plays the harmless car attendant he mistakes for a gangster. Unprepared for prison life, Ferrell hires Hart to toughen him up in the month leading up to his incarceration, which leads to the overachieving Hart going above and beyond the call of duty. 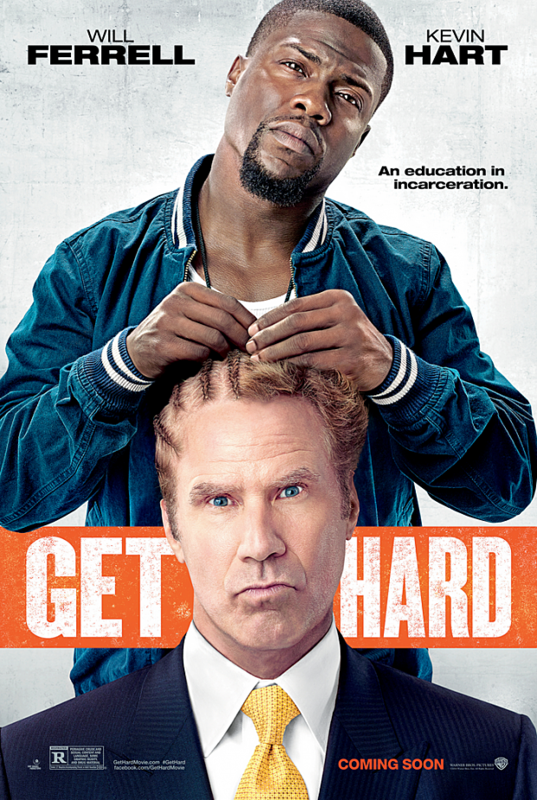 ‘Get Hard’ is the directorial debut of Etan Cohen, the veteran screenwriter behind comedies like ‘Idiocracy,’ ‘Tropic Thunder,’ and ‘Men in Black 3’ and it looks like it could be a winner. The trailer is pretty silly stuff and some of the jokes are fairly standard, but it’s hard to go completely wrong when you put two of the funniest people in the world into a plot loaded with so much potential. That’s before you consider that this is an R-rated comedy, which means that the best jokes probably aren’t even in the trailer. ‘Get Hard’ is set to open on March 27, 2015.